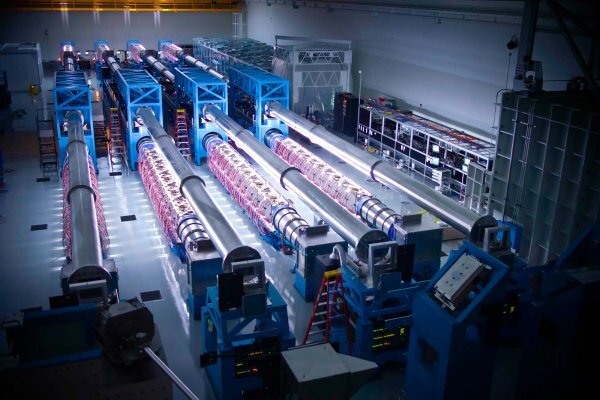 The University of Rochester's Laboratory for Laser Energetics operates two of the World's largest lasers for high-energy-density-physics research. In an environment where the target pressure during laser-driven implosion is 180 Gbar and the temperature reaches 50 million°C, properly maintained temperature (+/- 1/2°F), humidity (+/- 5%) and Cleanroom conditions (ISO Class 5/6) are critical. With onsite testing, tight protocols and close collaboration between the LLE staff, SWBR Architects and M/E Engineering. The team delivered a project that operates within the tight design constraints, at air volumes well below IEST standards. 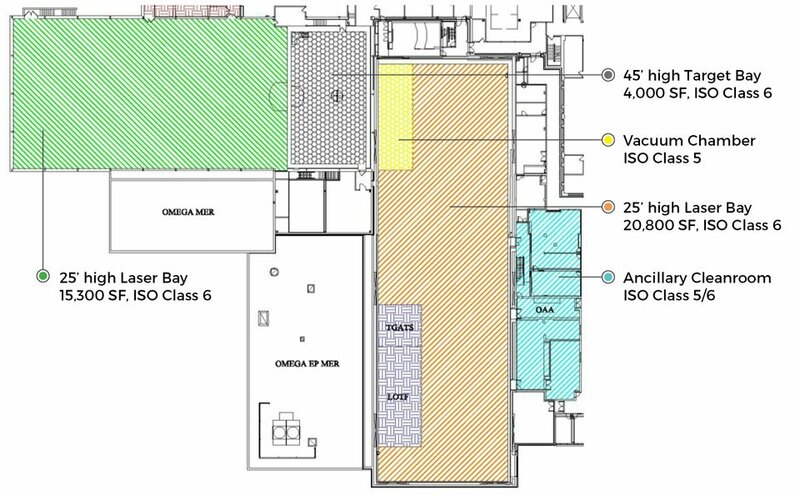 IEST publishes standards for testing and certifying cleanrooms. In addition, standards for air change rates and CFM / SF are published, which help ensure cleanroom specifications are maintained. While these standards are a good starting point, M/E believes through proper design, careful room layout and coordination of procedures with the Owner, these rates can be reduced. This approach saved the UR LLE over $4M in construction and reduced their annual operating costs by $680K. Ante-rooms, gowning rooms, and support spaces are maintained with a cascading room pressurization scheme that keeps cleaner areas at a positive pressure relative to less clean areas. This is made possible by the extensive use of variable speed drives and automated dampers controlled by the building management system. Strict gowning protocols are in place with frequent training sessions to ensure compliance. The staff wear Class 100 garments and adhere to many Class 100 environmental requirements. Daily, weekly and monthly cleaning and inspection procedures are in place. Real time particulate sampling is conducted in critical areas. Laser repair procedures are accomplished in tented environments and tight cleaning protocols are followed. Designed to operate in a semi-laminar airflow fashion, although not required by IEST. In order to maintain the tight temperature/humidity requirements, the external structure was built as a cocoon around the 20,800 SF cleanroom. This tempered envelope created a barrier to external solar and temperature gradients and allowed the HVAC system to only deal with internal loads. With these strict operational parameters in place, the team was comfortable lowering the Omega EP airflow rates to 15 ACH. As shown in the charts below, the savings in the first cost and operating costs are significant. Finally, the proof of design is in the performance. 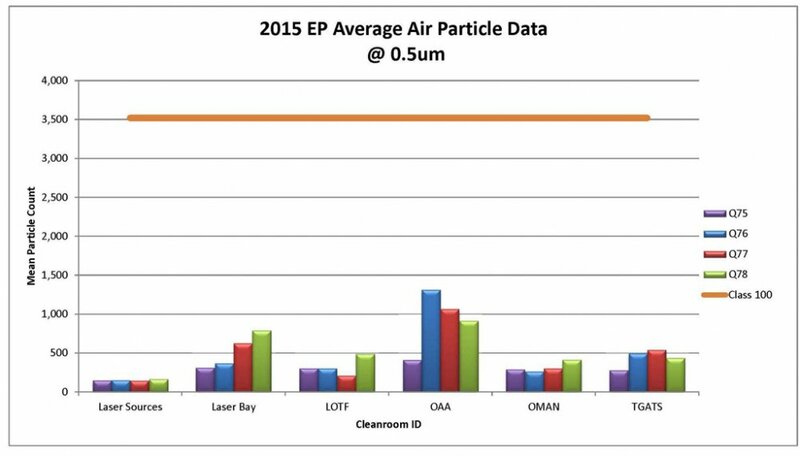 Air quality measurements at LLE taken with a LASAIR II Airborne-Particle Counter from Particle Measuring Systems, Boulder Co. prove that out. Eight (8) years after initial start-up, the Omega EP space is still operating well below the Class 1000 level with particle counts in all spaces within Class 100 parameters (orange line).